The importance of STEM skills as the bedrock for innovation in business and industry is a no-brainer. 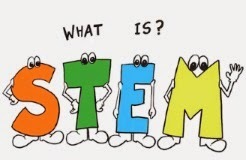 Not only do these subjects open doors to a rich and rewarding range of STEM careers, they also foster the type of employability skills that are valued by all employers - skills of analysis, problem-solving, communication, technology use, leadership, and teamwork. One strategy that has been successful in aligning education to business and industry needs has been the Louisiana FastStart program, which was launched in 2008. The program offers job training (that compliments other incentives from LED) for new and expanding companies in the state free of charge. Although the program is nationally recognized, it is for adults. The need for FastStart-type programs reveals the fact that business is experiencing STEM shortages NOW. K-12 reform cannot be expected do it all; neither can higher education. How (and how) soon do we engage multi-sector partners, academics, government, and business, in planning and implementation of a strong STEM strategy that fits our state? * Business refers to: Non-academic entities, such as commercial entities, government,workforce and economic development organizations, philanthropy, and informal education providers, etc.